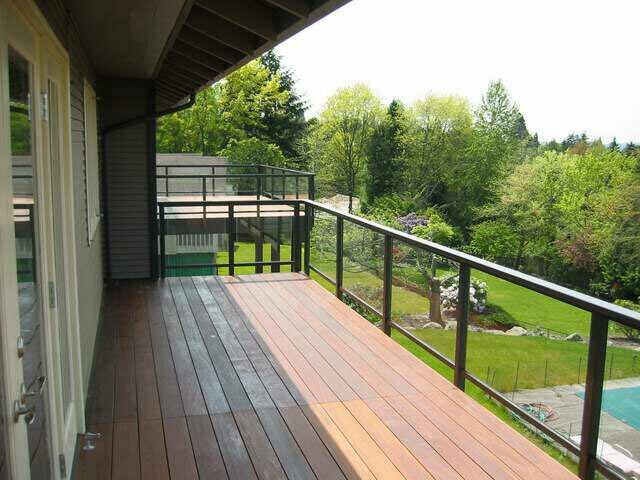 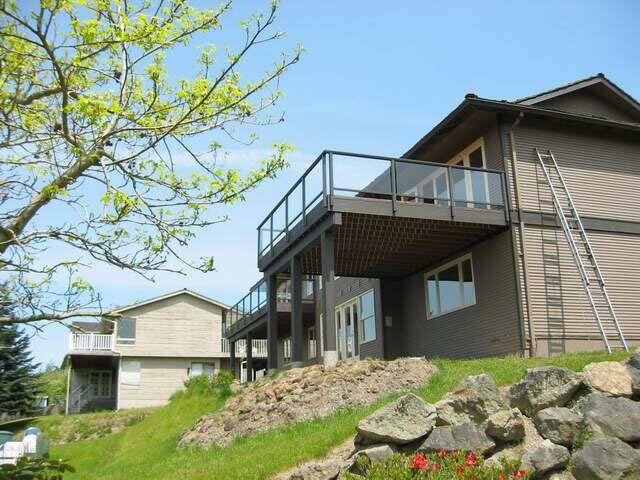 An aluminum railing system in brown paint was installed on a well built deck using a side mounted continuous top rail system and clear glass. 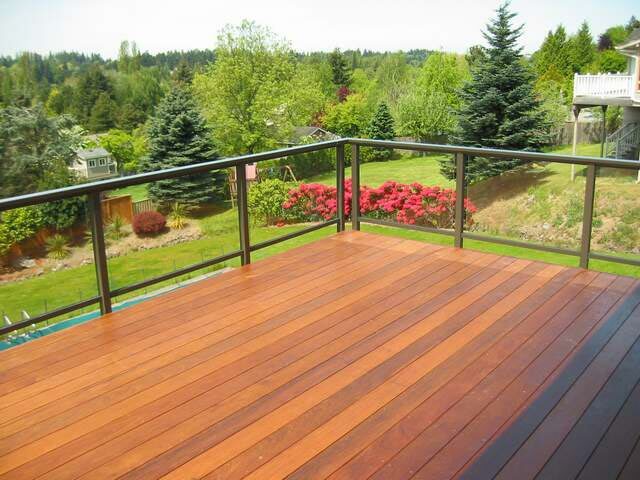 Note the rich look of the ironwood deck surface. 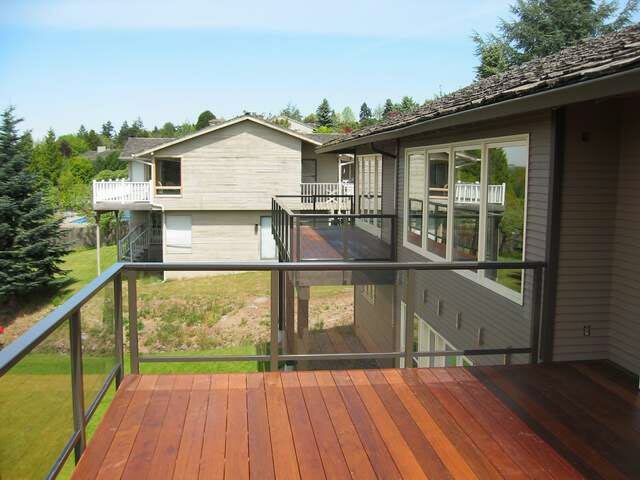 Structural was all 2 x 12 and posts were 6 x 6 so you could have a large party on the deck and not have any worries at all.